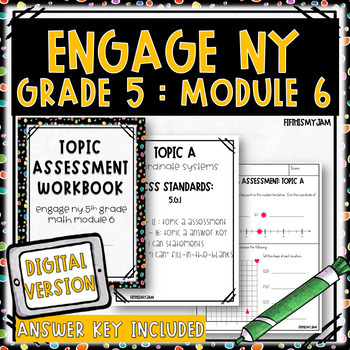 These topic assessments are perfect for assessing students following each topic of Module 6. 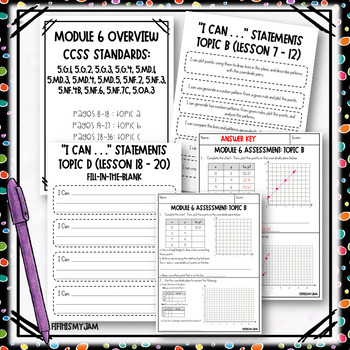 I like to use them to gain an understanding of how my students are processing the lessons that have been taught and tracking fluency. 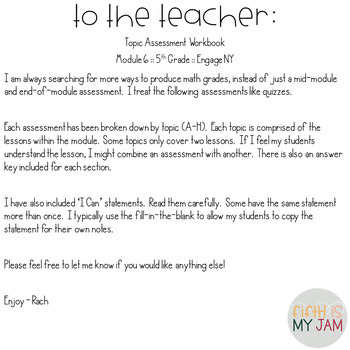 All assessments have answer keys included. There are also 'I can' statements, both filled in and fill-in-the-blank. They are ready to be cut and pasted into student notebooks, or place of desire. 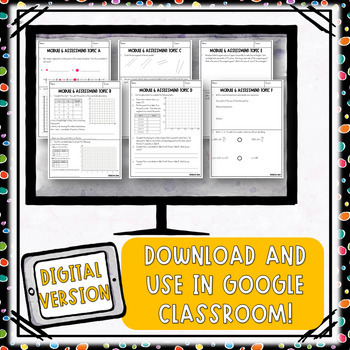 These assessments address the first quadrant of the coordinate plane and solving problems in relation. Students use previous understanding of the number line to assist.